An essential part of American diplomacy since the end of the Second World War, human rights seem to take a back burner in the Trump administration. Across the Atlantic the May Government has seemingly signalled its intention to limit human rights law once it has implemented its exit from the European Union. Everywhere the despots of the world seem on the rise, with only Continental Europe appearing to hold out for human rights principles. What is the future of human rights in this new Trump-Brexit political paradigm? 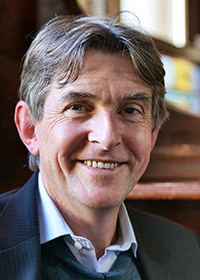 Conor Gearty was born in Ireland and graduated in law from University College Dublin before moving to Wolfson College, Cambridge in 1980 to study for a Master’s Degree and then for a PhD. He became a fellow of Emmanuel College Cambridge in 1983 and in 1990 he moved to the school of law at King’s College London where he was first a senior lecturer, then a reader and finally (from 1995) a professor. He was Director of the Centre for the Study of Human Rights (2002-2009) and is Professor of human rights law in the LSE Law Department. He has published widely on terrorism, civil liberties and human rights. Conor is also a barrister and was a founder member of Matrix chambers from where he continues to practise. He has been a frequent adviser to judges, practitioners and public authorities on the implications of the UK Human Rights Act, and has frequently lectured at home and abroad on the topic of human rights. He has appeared in human rights cases in the House of Lords, the Court of Appeal and the High Court. He has also been a visiting professor at Boston University, the University of Richmond, the University of New South Wales and the University of Sydney. Conor is a Fellow of the British Academy, a Member of the Royal Irish Academy, a Bencher of Middle Temple and has honorary doctorates from Sacred Heart University in the United States, University College Dublin in Ireland and Brunel and Roehampton universities in the UK. In 2012 he became Director of LSE’s Institute of Public Affairs and in this capacity was responsible for a crowd-sourced UK Constitution, drafted in 2015 and available at constitutionuk.com. His latest book On Fantasy Island. Britain, Europe and Human Rights was published by OUP in September 2016: www.onfantasyisland.co.uk for video and written extracts from it.